No one likes to be the one starting a sensitive discussion. We’ve all been there..everyone thinks someone should say something, anybody could, but no one does….and then it all goes wrong. 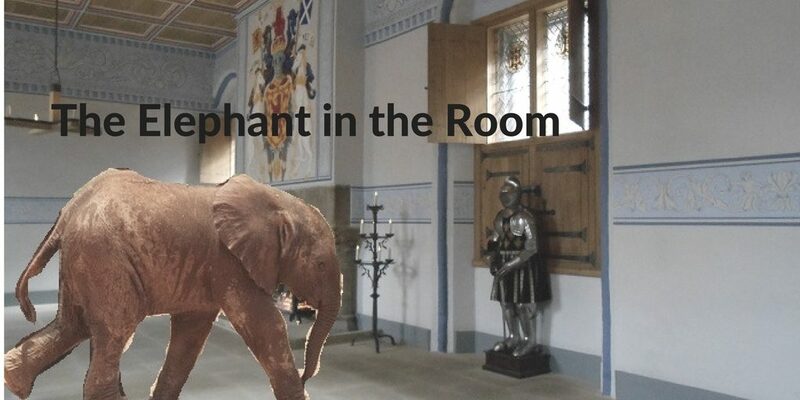 That’s why these situations are described as “the elephant in the room” –it’s too big to talk about and if no one says anything, major upset or embarrassment will occur. Putting off having a sensitive discussion can damage relationships, hold back business progress and cause a great deal of heartache. We put it off because we don’t know how to start and we are frightened that things will go wrong. Here are a few tips. C. Clarify in your own mind what the problem is. When did it start, what exactly is happening, what are the results? Try and see it from all angles. A. Accept responsibility for what you might have done–did you explain yourself clearly? T. Take control of your emotions. Be curious, not furious. If you are angry, you will not think straight. C. Choose a time and place. H. Hope for a good outcome–think of the best possible result from your discussion. How can you make sure that happens? Waiting for the perfect moment may seem tempting, but the longer you leave it, the more ingrained the situation will become. Be clear about what outcome and what’s in it for them. If they say no, ask when would be a good time and place. Don’t blame, be objective and talk about your part in the process. Listen to their side of the story and ask for a solution. Suggest what you might do. Practice makes perfect. When you first start, it seems a bit artificial, the more you do it, the more natural it becomes. If you want to talk it through, email me help@nancyradford.com.